Once again, we're snowed in. Seriously snowed in. The highways are closed, the public transportation system is shut down, and no one has even bothered to start shoveling. It's serious. Although I'll be hurting a little bit if work is cancelled again tomorrow, I've had too many (unpaid) snow days. I searched high and low on the internet for a recipe like this, and I couldn't find any. I wanted a basic coffee cake, but with berries, a cream cheese layer, and a crunchy streusel-y topping. Why doesn't this exist besides in my mind? The good news is that my ideal recipe translated perfectly into reality. This is a hell of a coffee cake. 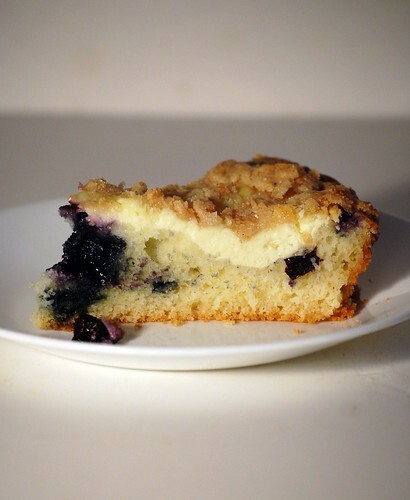 The base cake is light and fluffy, the blueberries fit right in between the cake and the creamy layer of cheese, and the streusel topping is thin and crunchy. Preheat oven to 375. In a small bowl, blend together the flour mix, salt, xanthan gum, and baking powder, then set aside. Cream the butter and sugar, then beat in the egg, followed by the milk. Add the vanilla, then stir in the flour mixture. Blend well, then spread into a 8x8 pan or an 8" pie/tart pan. 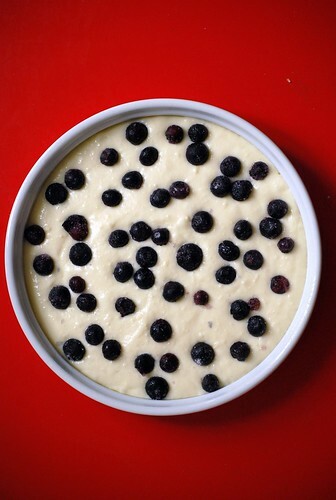 Toss the berries in the sugar, and sprinkle over the cake layer. 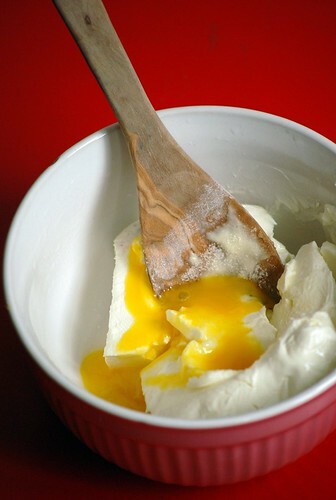 Smoosh the cream cheese together with the egg, sugar, and lemon juice. Beat until smooth, and drop big spoonfuls on top of the berries. Mash together all the ingredients with a fork until crumbly. Sprinkle over the cheese layer. Bake the cake about 45-60 minutes, until no longer jiggley in the center, and starting to brown. Cool completely before serving. AAAAH! That cake looks AMAZING! I want it! You poor thing, it's summer where I live so the idea of being snowed in seems so ridiculously strange ;) I hope you can get out to work soon! i want this but with raspberries and blackberries. oh my! This was absolutely AWESOME! I had to get up and help my husband shovel out of the snow this morning so I popped this in the oven, and I don't think I've ever had a coffeecake this good - GF or not! I am so glad you made this! It looks amazing. I'm going to make this, maybe this weekend! Oh wow. Just wow. 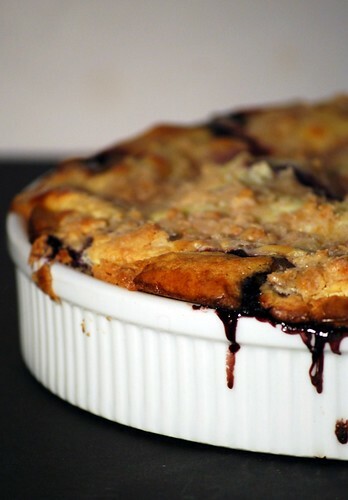 I am so trying this with buckwheat flour. 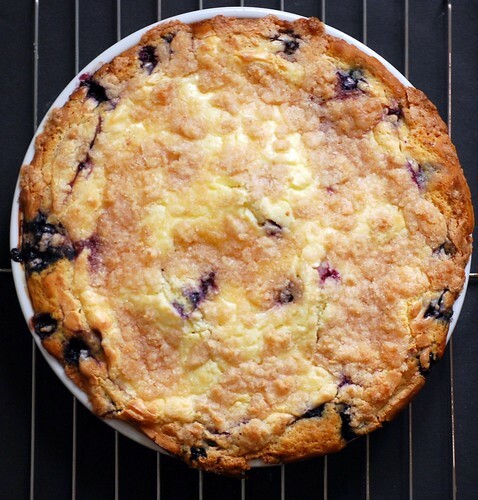 Thanks for sharing the recipe and the photos are beautiful! What glorious victory! Gosh, this is gorgeous, and reminds me of coffee cakes of my gluten past. Well done! And thank you for reminding me how much I love coffee cake; must, make, soon! This looks so incredible! I'm definitely going to be trying this very soon! I hope you're able to dig yourselves out of all that snow soon! OMG!! This was wonderful! We had ours with strawberries, can't stop thinking about another piece! Do you think this would need to be refrigerated if you're not serving it right away? Because of the cream cheese? I'm thinking of making it this morning and serving it after dinner. This recipe looks like a dream come true! Can't wait to try it! This is the best thing I've seen in weeks. I can taste it already. I must make it now while the weather is still nice and cool and it feels all cozy! Thank you! Oh duh, I found the flour mix recipe on your site. Thanks so much, definitely going to try this!! I made this tonight....and it is the BOMB! I used regular flower instead, and did not use the xanthan gum. Soooo good! I made this and it was amazing, thanks for the recipe. I made this with raspberries for my 5 year old's birthday breakfast. It was amazing and loved by all!! Thank you for this delicious gf recipe! !